ProZ.com Plus membership comes with all the benefits members have come to know over the past nineteen years, plus a lot of new tools and opportunities designed with the serious freelance language professional in mind. This series takes a look at these additional benefits, one at a time. The future looks bright for a certain type of translator, interpreter, or anyone providing language services. These are the language professionals who are able to adapt to the changes that affect us all in general, and the changes that affect how things work in the industry. Some of these changes are related to globalization, some are tech-based, others have to do with how we have come to expect a service to be delivered, in terms of time, cost, and quality, and very often without even having met the person or persons providing the service. Tomorrow’s translator and interpreter is continually improving. They are staying up to date on what’s new, both good and bad. They are able to accurately inform their clients about what’s new, what the best solution might be, and deliver a service that really meets those clients’ needs. They are learning and incorporating the technology, processes, and tools that allow them to do this. That brings us to today’s topic: watching videos on the internet. Wait! Did you just open a tab and go to YouTube to watch cats and dogs doing funny things? 2. Stick with me a bit, because I was talking about something else. Call it what you want– professional development, continuing education, training, “what every professional should be doing”– tomorrow’s translator and interpreter is taking in new information about all different aspects of the business, and putting it to work for them, in order to stay on top of their game. ProZ.com has been offering language professional training for more than ten years, and the ProZ.com community is full of experts on all different facets of the business. This expertise and knowledge has been collected in the new Plus subscriber video library. If you want to learn more about translation software, or the art of translation or interpreting, or negotiating with clients, or finding new clients, or a particular field within translation and interpreting, the video library is a good place to start. It’s free with your ProZ.com Plus subscription, and you can watch what you want when you want, on your computer, tablet, or mobile phone. At the moment, the video library contains over 1,000 hours of content, in various languages. If you were to pay for access to all of that content separately, it would run you around 20,000 USD, which, even if you have that kind of money just burning a hole in your pocket, you’re going to want to spend it on something else, right? Granted, not every course in the library will be of interest or applicable to you, as tends to happen with most libraries. But it could be a very valuable professional resource to have in your set of tools, and again, it’s free with your Plus subscription. And as the number of Plus subscribers grows, so grows that library of knowledge. If you already have a Plus subscription, be sure to refer to your Plus subscriber checklist to see what you can do to get the most out of your investment. If you are still considering membership at ProZ.com, this is the full list of membership benefits. If you have questions or need help, feel free to drop me a line. Today we’re going to talk about… cats drinking coffee! Well, not quite. Maybe later. I’m curious about how that little guy reaches the cup, or if he takes it with sugar. I meant to say we’re going to talk about a CAT tool that comes with ProZ.com Plus membership, by the name of CafeTran Espresso. First, some CAT tool basics for those who may not be initiated. Computer-Aided Translation (CAT) software are programs that translators use to create their translations. CAT tools can use and generate translation memories (TMs), which the translator leverages for efficiency and quality in their translation. Upwards of 90% of translators use a CAT tool. Of those using a CAT tool, around 80% use more than one tool. If you are wondering which CAT tools translators are using most, this article may be of help. If you are on the market for a CAT tool, you get one for free with your Plus subscription: CafeTran Espresso. The latest version of CafeTran Espresso, Acua, was released this year. Even if you are not currently looking for a new CAT tool, this is a good opportunity to test drive something different to see how it compares to the tools you are currently using, and to add it to your arsenal if it works for you. 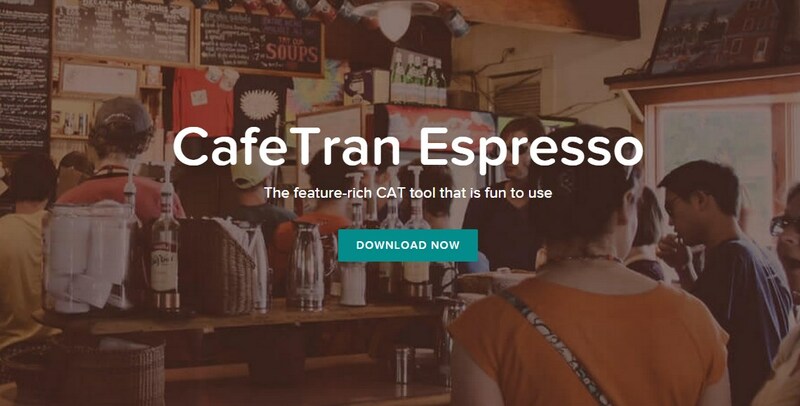 CafeTran has all the features you would expect from a CAT tool, and possibly some you would not! It is interoperable with files for Trados, memoQ, Wordfast, and other major CAT tools. It also integrates with ProZ.com services– you can keep an eye on job offers, or get KudoZ term help, right from within your CAT tool. Support for CafeTran comes from the software’s developer himself, as well as an extensive knowledge base for those just getting started, and the CafeTran group, made up of users helping each other and also guiding feature development. Your Plus subscription provides you with a floating license to CafeTran. This means that no matter where you install or use CafeTran, all you need to do is log in with your ProZ.com account to activate the full set of CafeTran features. Versions are available for Windows, OS X, and Linux. You can also download and try out CafeTran for free to see if you like it at https://www.cafetran.com/. DJHartmann is a NAATI Certified Thai-English Translator specializing in the translation of issues relating to applied anthropology, international development, NGO’s, refugees and migration, human trafficking, indigenous peoples’ rights, the effects of mining and resource extraction on local communities, social impact assessments, land tenure and environmental management. He is a ProZ.com member and member of the ProZ.com Certified PRO Network. He shared this success story last week in ProZ.com forums. We don’t normally share our successes here on ProZ.com. Most often we hear about issues that aren’t so hopeful such as bad clients or non-payment, problems getting established or a slow workload. I’d like to share my 2017 experience with everyone and what I’ll do differently in 2018. To start off, I’ve only been a full-time translator and ProZ.com member since mid-2014. At the start of 2017 I had been fully dedicated to translation for a mere 2 1/2 years (having translated part-time since 2011 while studying and working). The year 2017 was the first calendar year that I earned over $US 100,000 from translation, around $130,000+ if including other services. I think that this story is possible for anyone here on ProZ.com, that’s why I wanted to share. What did I do differently to previous years? Translation and my business came number 1. I only had a handful of clients, most work coming from 2. Big projects (150,000+ words) were the norm and I said goodbye to the nagging, undercutting multinationals who wanted me to work for less than 1/2 my rate. I became very close with the project managers that I worked with and we built an excellent level of understanding and great professional relationships with one another. While these big projects occupied my month-long vision, I would of course have daily, well-paid jobs that didn’t take too much time at all (certified TRs etc). I never refused these and delivered ASAP. Quality was paramount. As I mentioned above about needing an extension, if the job didn’t meet my own quality standard expectations, I wouldn’t deliver it. This was in no way regular but when it did happen it would frustrate the PMs who were being hounded by their clients to deliver. Upon seeing the delivered project, which was often more extensive than they’d first thought (Thai source WC is often underestimated), they’d always thank me. I built up a reputation with all in the process chain: proofreaders, quality assurance, project managers and end-clients. This kept those big jobs coming. I stopped sub-contracting translations. Running on from the above point, with quality being my priority, and a complete lack of time to proof others’ work, it was not in my best interest to use sub-contractors. Instead, I branched out my service offerings to one ‘almost’ passive-income pursuit and one ‘easy money’ task. Without giving too many details, the passive-income task involves a team working for me in Thailand and the easy-money task is a job that most others refuse to take! Neither of these are translation but are both assigned to me by translation agencies. The agencies also have full knowledge of the team working for me, which I’ve helped to screen. I’ve strengthened partnerships. Some colleagues in this industry are out to get you, ready to stab you in the back or undercut you at their first opportunity! Others are worth keeping close and worth building a mutually-beneficial future together. In the past I would’ve just sub-contracted work to them but for the reasons above I stopped doing that. Instead, I gave opportunities and shared their names with clients who needed desperate help. Everyone is happier in this situation and it promotes trust and friendship, better quality work and more money going to the right people! I became accredited. For my language pair, there are only a very few translators who are accredited or certified. Most are non-natives and those who are natives (bar one or two) didn’t learn the source language at a higher-educational level. This is not a criticism of all translators without degrees, I’m just trying to show that on the whole, Thai-English translation has very poor quality. There are even varying levels of bad translations in this pair. Becoming accredited through testing gave all those I work with a level of assuredness that my translations were good. It also gave me a renewed confidence, which helped my own work. NAATI accreditation was expensive and very hard but I have no regrets after doing it. After saying all of this, I also moved my wife and two daughters back to Australia with me. We packed our whole lives from Thailand into a shipping container, sold the car and moved onto my family’s farm here in Australia for 9 months, living in the spare bedroom. My intent throughout 2017 was to save money for a house deposit. This was the driving force for all those above-detailed accomplishments…but I found out afterwards that internationally-sourced funds cannot be deemed ‘secure’ financing for a loan. 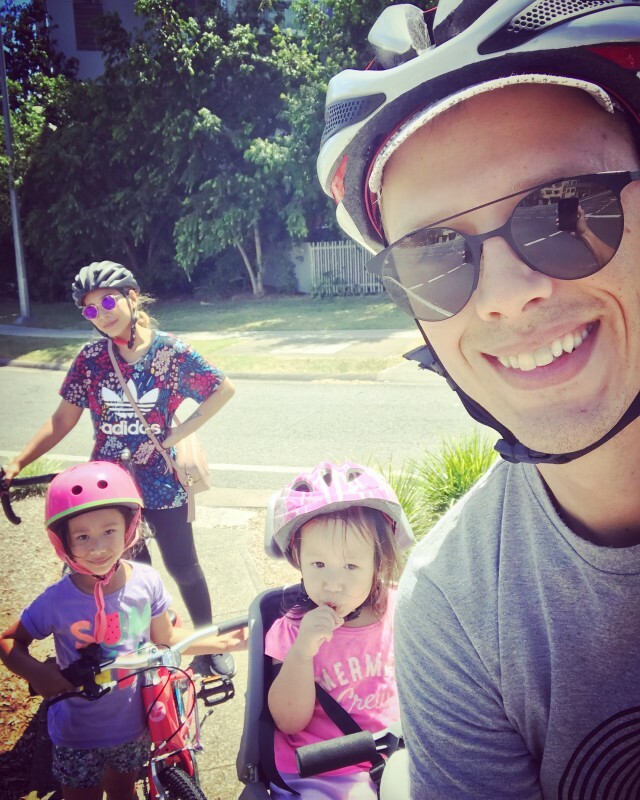 Instead of buying a house, I’ve moved my family into a rental in one of the nicer suburbs of Brisbane that is near a good, well-known school. We’ve forgotten about buying a house because we couldn’t ever afford to buy the place we’re living in now! Come January 2018. What has changed? I no longer have the ‘save money for a house’ mantra driving me like a madman. I burned out, seriously burned out after New Years and one of my main resolutions was to say “No”. I am unavailable on weekends, as these are now set for my family, wife and kids. I’ve prioritised health and fitness and am cycling most mornings once again (eg. prior to 2017). I’m back to enjoying cider and wine!!!! And now am glad to start work at 9am! I’m back to loving my job, loving my lifestyle, and my family is loving me for it! My income might’ve taken a cut but it was that extra 20% effort that caused all the pain. My feeling is now that this level is sustainable, whereas the other max-effort nearly killed me. I thought this experience was worth sharing and hope that others can gain something from it. Finally, it’s worth noting that I am the sole income provider for my family. My eldest daughter is 6 and youngest nearly 2. My wife stays at home caring for #2 and helps look after me through those long work-stints. Much of our success is thanks to her continual support and I couldn’t have done half of it without her!!! This post was originally made in a site forum. Participate in the forum discussion, or leave your comment below! Here is what has been going on at ProZ.com since the last report to members. ProZ.com Pools™ is a new service designed to make it easier for clients to discover freelance professionals working in specialized fields or offering certain services. A pool is formed from a group of screened experts. ProZ.com members with a Standard subscription may apply for inclusion of up to three pools, and Plus subscribers can join up to five pools. ProZ.com partners and Business members will have special access to these pools to contact specialists or to integrate them into their own platforms (see, for example, the information on the Boostlingo partnership below). To date, pools have been created for translators working in Game localization and the Pharmaceutical field, and for Interpreters and Subtitlers. More pools are on the way, including pools for Literary translators and Project managers. You can find out more about Pools and apply by visiting https://www.proz.com/pools/ or clicking on the “Pools” option under the Jobs & directories menu at the top of the site. The ProZ.com team, led by new staff member Mike Donlin, have been actively exploring opportunities for partnerships which have the potential to lead to new work and clients for members. The first of these partnerships was announced in June. Boostlingo, an interpreting delivery platform, partnered with ProZ.com as a source of pre-screened interpreters, via the ProZ.com Pools™ service. Since then, work and payment have been actively passing through Boostlingo, into the Interpreter pool and to the interpreting professionals there. New features were also added for ProZ.com Business members. If you are a Business member you can now feature/embed your Blue Board record on your website and elsewhere via the Blue Board widget, pin an LWA entry to the top of your Blue Board record, and be featured on the home page in the Blue Board ranking section. In October, different members of the ProZ.com site team met up in Syracuse for another hackathon. The first hackathon was held in July of 2016, and resulted in the What I am working on feature, which ProZ.com members have used nearly 20,000 times to share what they are working on and track their project history over time. * The announcement of this project was made to the Certified PRO Network forums and will only be accessible if you are a member of the network. Some pictures from the hackathon in Syracuse in October. Click to see a larger version. You will have seen some new faces on the ProZ.com site team since the last report. Paul Hesselsjoins the team, in charge of systems administration. Mike Donlin is heading up projects with Pools, Business membership, and external opportunities from the Syracuse office. Hailing from Ohio in the US, Alex White is the developer behind new features such as the enhanced profile visitors dashboard for Plus subscribers, and the upcoming Native language verification system. Tatiana Dietrich and Enrique Manzo came on board at the La Plata office in July, and together are getting translation contests back. Enrique will also be overseeing the Translation center service. Completing the team’s trio of Alexes, Alexander (Sasha) Terehov has kindly agreed to go by Sasha to avoid too much Alex-based confusion. He is responsible for the recent update to the Company directory and is currently up to his eyebrows in a couple of other projects that will be of value to members. The team gained an Enrique this year, but it is losing one as well (and thus the balance of Enriques is maintained!). Enrique Cavalitto is retiring. Enrique was responsible for putting together and overseeing the La Plata office, after having spent several years as a user, member and site moderator. He has been a mentor to many on the site team, past and present. And he is not one to sit still for very long, so my guess is we have not seen the last of him. Best of luck in whatever comes now, Enrique! Starting in 2009, ProZ.com has hosted an annual virtual event, or series of events, in celebration of International Translation Day. This year’s event, held on September 26th and 27th, was one of the most widely-attended translator events ever. It also saw the unveiling of a new platform for these virtual events, ProZ.com/TV, which allows attendees to participate in an event both on and off the ProZ.com site. If you are a Plus subscriber and you missed something from this year’s two-day event, do not worry, you will be able to find everything archived in the Plus subscriber video library. ProZ.com Mobile, released last year, has added functionality for both freelancers and language service clients. Users can now do things such as search the directory and contact freelancers, post jobs, add Blue Board entries and ratings, share jobs, term help questions and other items via social networks, view their notification histories, and access ProZ.com Pools™, along with the already-existing options for participating in term help, forums, quick polls, jobs, and the What I am working on feature. The ProZ.com Plus package for freelancers was released on November 15th of 2016. With the introduction of the Plus package, the pricing of Standard membership was reduced, and a new system for ongoing subscriptions was added, allowing members to select options for auto-renewal, at a lower cost than “manual” renewal methods. In addition to these, Native language verification is currently in alpha testing, with plans to release soon. If you are already a Plus subscriber, or are considering going for Plus, be sure you read up on what your subscription includes. You can see details on the various services on the Plus package rollout page, or see brief descriptions of how to get more out of your subscription in the Plus subscriber checklist. So far, just over 4,600 professionals have signed up for the Plus package. 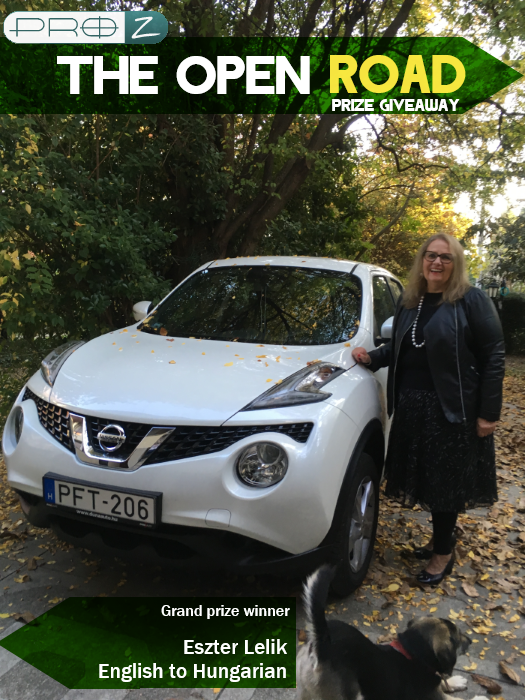 Speaking of membership, as you may know, the Open Road campaign from last year featured a series of prize winners leading up to the grand prize winner of a new car. You can see all interviews with the winners here. Helena Diaz del Real. Helena joined ProZ.com in 2005 and was an active contributor in term help and the forums. Many of you have no doubt met her at conferences and powwows, where she was a bubbly, positive, and entertaining presence. 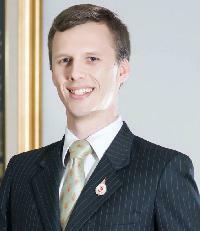 Andrew Bell. 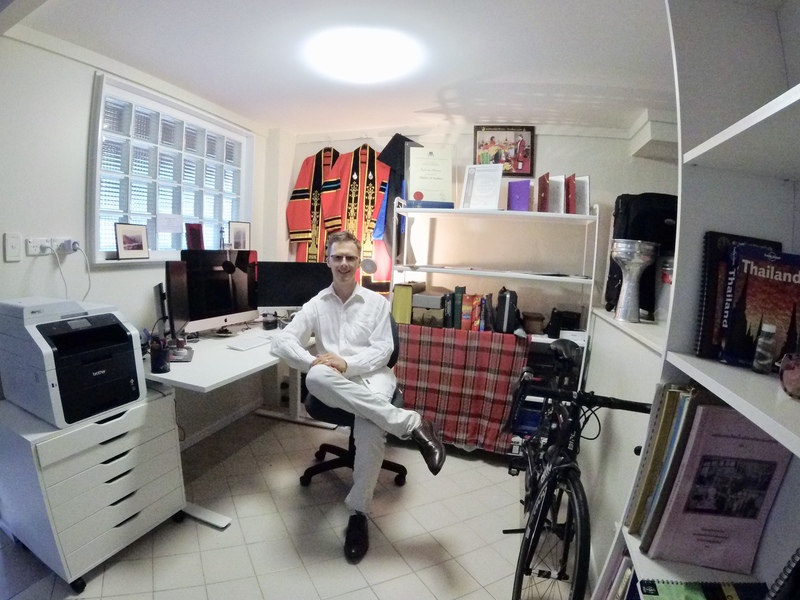 Many of you may have known Andrew from his years on ProZ.com and from the Watercooler network for translators and interpreters. He was an active contributor, mentor, and facilitator of networking and connections among language professionals. Siegfried Armbruster. Siegfried was a long-time member and wherever you looked, he was contributing: in term help, in the forums, posting free resources for translators from a special tab set up in his profile, providing training and mentoring, on and off the site. Philippe Carino, Oleg Rudavin, Sheila Wilson, Fi2 n Co, Alessandra Vita, Samuel Murray, Thomas T. Frost, eski, Christine Andersen, Samuel Sebastian Holden Bramah, Yetta J Bogarde, Michael Joseph Wdowiak Beijer, All members of the Certified PRO Network who have acted as a sounding board for many of the new features released, site localization teams, ProZ.com site moderators, the members who are volunteering as ProZ.com mentors, and ProZ.com trainers. 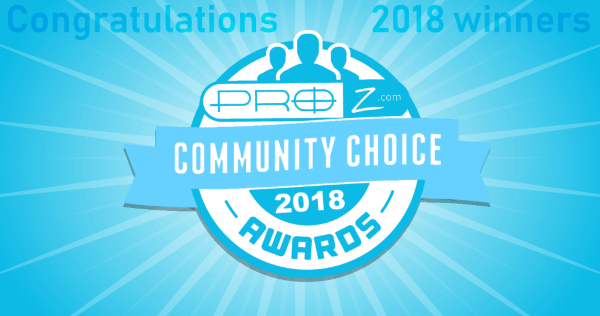 On behalf of the ProZ.com site team, thank you to all ProZ.com members for investing in your business and for supporting ProZ.com through your membership. If you are a translator or you work with translators, the ProZ.com mission statement explains how the site works for you: By providing tools and opportunities for you to network, expand your business, improve your work, and have more fun. If you have questions about membership, or need answers or help regarding anything else at ProZ.com, do not hesitate to contact staff through the online support system. There was a bit of a flurry of activity in the third week of October as various members of the ProZ.com site team gathered in Syracuse for a second hackathon. The team gets together to brainstorm, discuss, plan and work on the hackathon projects. For those not already familiar with the term, a hackathon is short event where developers and others get together to work intensively on one or more projects, with the goal being the creation of usable software, services, or other features. The first ProZ.com hackathon was held in July of 2016, and resulted in the creation of the What I am working on feature, in which to date just over 19,000 entries have been made. A big thank you goes out to all the ProZ.com site members who made themselves available on short notice to participate in testing some or all of these potential services, and provided feedback which will help determine the value and direction of each. Group photo. We’re not a bad-looking bunch, for the most part. A hackathon is a lot of work for everyone involved. For a group as culturally and geographically diverse as the ProZ.com site team, it is also an excellent opportunity for team building, to work face to face with coworkers who are usually in another country and/or time zone, and to get to know each other better, both professionally and personally. And it is a lot of fun! Despite the long days, the team still made room for other activities: group breakfasts, lunches, dinners and drinks, a bit of walking and talking around the town of Syracuse, and some team members might have been spotted in impromptu ping pong and football matches (not at the same time). There was still time to get together at the end of the day, socialize, and talk plans for the next day. In addition, this hackathon included the celebration of the impending retirement of Enrique Cavalitto, who many may know from his seventeen years on ProZ.com as site user, member, moderator, conference speaker, powwow attendee, and staff member of eleven years. Enrique’s retirement party. There may have been a tear or two in the room. Enrique helped start and oversee the Argentine office of ProZ.com, spent years coordinating with Translators without Borders, and more recently has been coordinating the development of the ProZ.com translation center, a service available to Business members on the market for ways to improve the management of their translation projects. As part of the celebration, Enrique was inducted into the ProZ.com Hall of Fame. I don’t think you’ve seen the last of him on ProZ.com, though. Best wishes in whatever comes next, Enrique! Enrique and Jared at the Tech Garden, home to the Syracuse offices of ProZ.com. This article describes the tools for inviting service providers to your instance of the translation center powered by ProZ.com. You enter and submit your search criteria, and you get a ProZ.com directory page in line with the data sent. On this page you select the professionals you are interested in, and then you can define, for each of them, one, several (or all) of the language pairs declared in their ProZ.com profiles. When you submit this page, all selected translators will be invited. By selecting Providers → Invite via email, you will be able to invite translators by their contact data, including providers who do not have a ProZ.com profile. You can invite several translators in one go, and select several language pairs for each translator. In the Administration → Settings → Notifications you will find the diverse notifications sent from the translation center. In particular the Invitation to a new service provider option will display the message sent to invited translators, and by clicking on Edit you will be able to create an invitation message better suited to the realities of your company. Besides, each time you send an invitation through the system you will be able to add a specific personalized message. When invited service providers click on the link included in the invitation, they will be brought to a landing page packed with marketing information on your company, including your logo, company name, tag-line, “established in” information, links to your web page and ProZ.com profile and your Blue Board badge. You can view the marketing content on this page by clicking on the bottom-left corner of your instance of the translation center. Below this area, providers will find your recruiting message, described in the next section, and then the buttons for accepting or declining the invitation. If the invited providers’ emails are associated with ProZ.com profiles, the system will connect them with the new translation center profiles. In the page Administration → Settings → Company settings you will find the recruiting message presented to invited providers described in the section above. By clicking on Preview and then on Edit, you will be able to edit this text in line with your recruiting policies. The translation center powered by ProZ.com is used by Translators without Borders and several commercial translation companies to deliver millions of translated words every month. This platform is made available to all ProZ.com Business members. If you want to learn more about this platform, please submit a support request and I will contact you.